Long before he started jumping out of airplanes, John Fleming had a reputation for being an adventurer. In this clip, taken at the Blue Skies Boogie celebration of his life, John shares the story of the time he and some buddies went train hopping as kids — and what happened after they ran into a police officer! We have more stories about John coming up. Subscribe to our blog to make sure you don’t miss any! P.S. 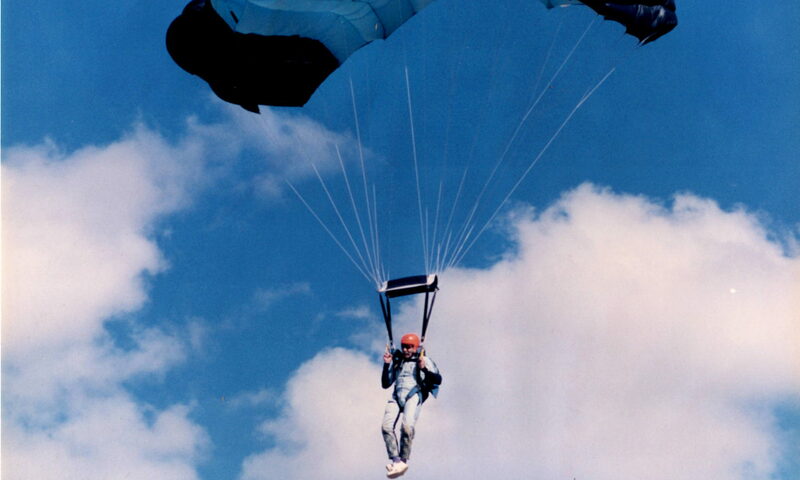 Would you like to see us make a full-length documentary about John’s life and how he continued to skydive after he lost his sight? Please consider a donation to our GoFundMe and help us get this movie made! That was my wonderful husband alright. He loved an adventure.